The government is chalking out new programmes and working hard for farmers. Speaking to reporters in Sindgi on Wednesday, Gowda said, “The party will give an opportunity for the local leader to contest in the by-election in Mandya. The candidate will be announced shortly and none of the members of my family will be given a ticket,” clarified the JD(S) supremo. Referring to the parliament by-election of Shivamogga constituency, he said, “Chief Minister H D Kumaraswamy is in touch with former legislator Madhu Bangarappa in order to convince him to contest from Shivamogga. Bangarappa is in Denmark and is expected to return to India on Thursday. 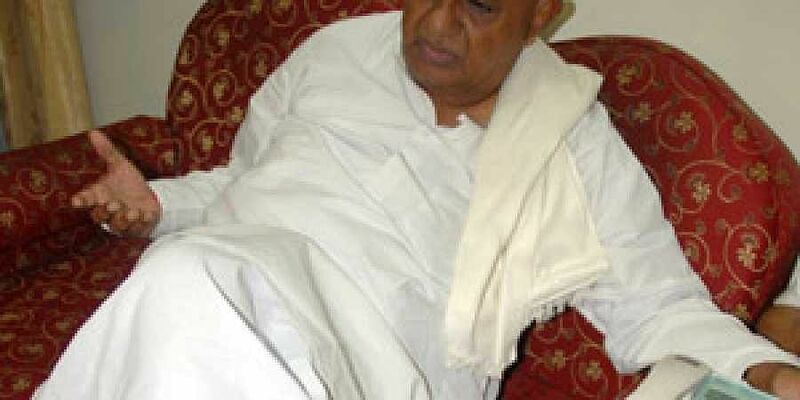 A meeting will be held to convince him and then the ticket will be finalised,” stated Devegowda. He added, “If Bangarappa refuses to contest, then the JD(S) will support Congress candidate in Shivamogga. JD(S) will support the Congress candidate in Bellary. Congress and JD(S) will campaign together in all five constituencies in the by-elections.” He accused saffron party leaders of creating communal rift across the country. “The upcoming by-election results will be the answer for those who question the stability of the state government. Without a doubt, this coalition government will be in power for five years,” confidently remarked Deve Gowda.